Jackson Tay Bosley, PsyD., is the recipient of a 2017 Visionary Voice Award, as a leader in sexual assault prevention. Dr. Bosley is a longstanding member of New Jersey’s Prevention and Public Education Committee, and has displayed over 30 years of commitment to addressing community trauma and harm. 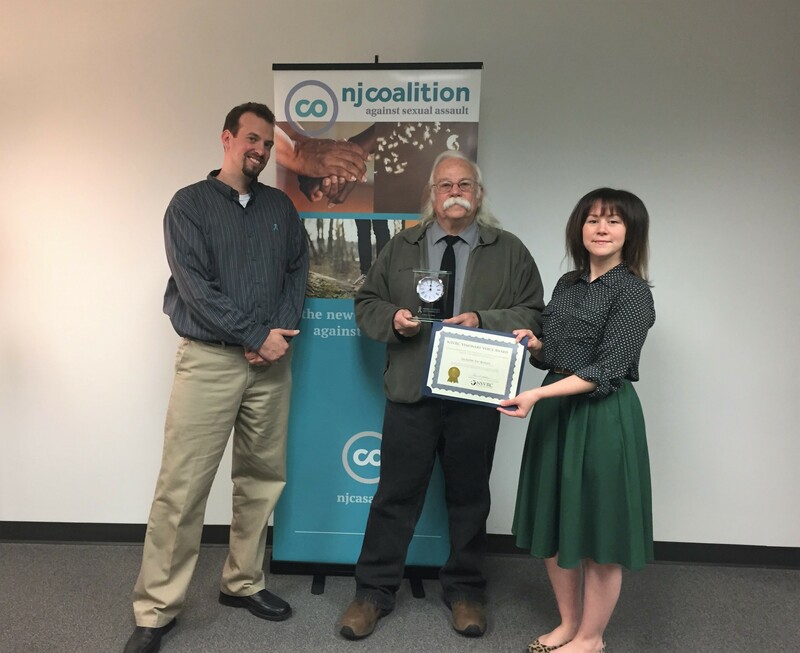 NJCASA nominated Dr. Bosley for his contributions in the field of sexual violence prevention. The Visionary Voice Awards are presented annually across the nation by the National Sexual Violence Resource Center (NSVRC), in conjunction with Sexual Assault Awareness Month (SAAM). While with New Jersey’s Prevention and Public Education Committee, Dr. Bosley’s expertise informed statewide planning efforts and discussions on adequately addressing community trauma and ways to create safety, both for individuals who have harmed and survivors of violence. He has specialized in the treatment of sexually abusive and problematic behaviors for over 30 years. His treatment programs for adults and adolescents in outpatient, inpatient, and correctional settings have been used in Hawaii, Colorado, Tennessee, and New Jersey. Dr. Bosley also serves on the Board of Trustees for the New Jersey Association for the Treatment of Sexual Abusers. He is a longstanding and dedicated partner of NJCASA’s. Dr. Bosley is one of 32 recipients of this year’s Visionary Voice Awards. Awardees represented a multidisciplinary group from across the nation selected for their outstanding work toward ending sexual violence.